On this page are some of the fun facts about Aquarius and underwater dining and research in general. Most are tidbits that I picked up from Aileen ! George F. Bond is known as the Father of Saturation Diving. A leader in undersea hyperbaric medicine, Bond invented saturation diving. Saturation diving is really important to research because it allows the divers to stay down longer and go deeper. Instead of one hour dives starting at the surface, the divers living in Aquarius re-aclimate to deeper pressure levels, allowing them to stay longer in the water; for about 5 hours instead of one. 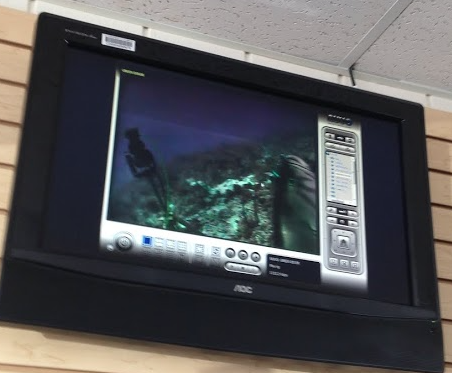 Also, because the new pressure levels become the "norm", divers can go deeper without suffering the same affects they would if they tried to go that deep while acclimated to the surface. 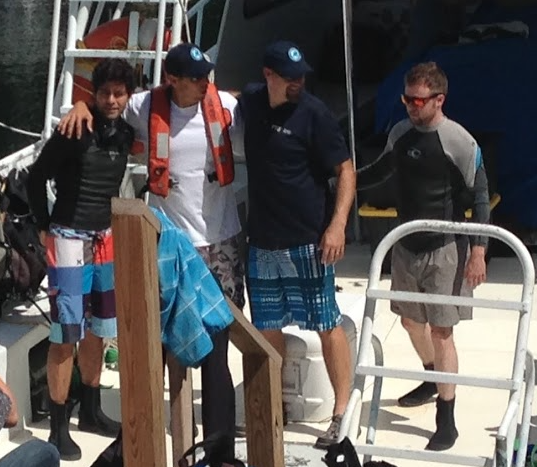 While just being famous does not get you into being an aquanaut, VIP visitors, after their interviews, are allowed one-hour dives into the habitat to look around. This system also helps bring more publicity to Aquarius. The stars that are interested in this and want to learn more about Aquarius are really cool! People who want to learn are fabulous role models! 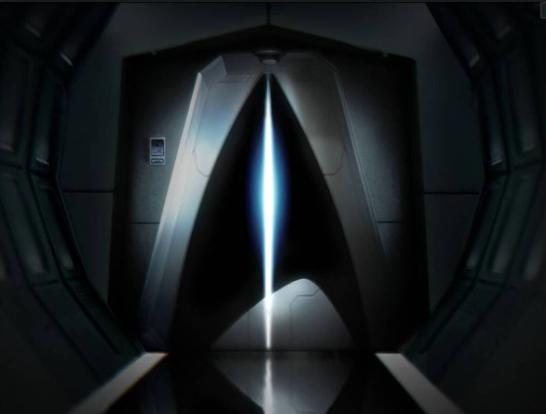 Image from Google search "star trek doors"
Aquarius has doors like those in Star Trek! The outer doors are not the only ones that are airtight. All of the doors have the ability to completely seal off the different sections in case of an emergency! 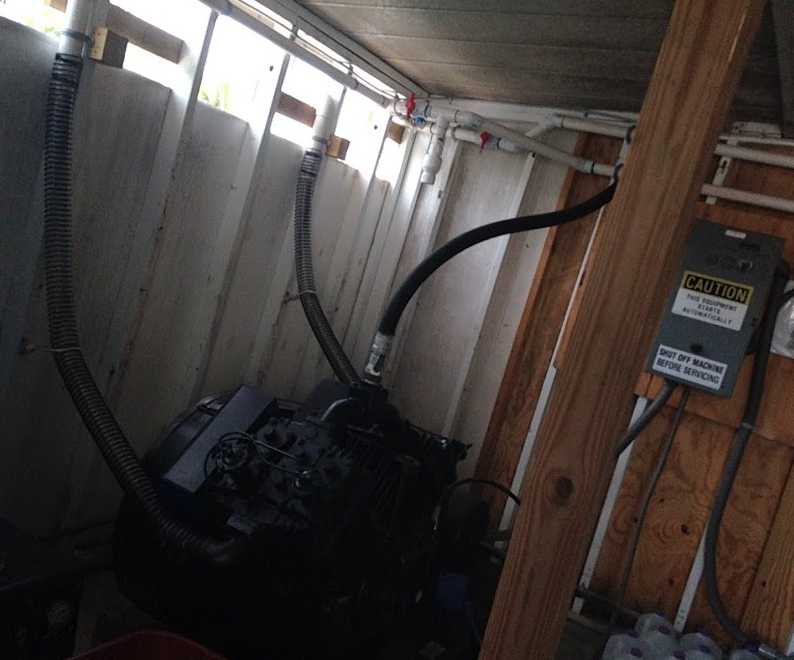 There are also air filters all over the inside of Aquarius. These filters clean the CO2 (Carbon dioxide) from the air. Maybe one day, we will have machines that can complete the plant-like process of turning CO2 into oxygen. 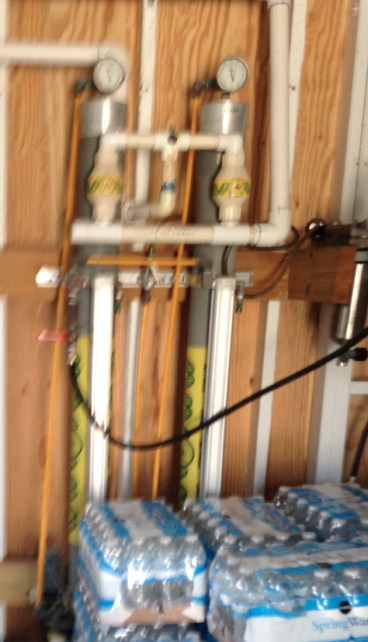 When pipes have that green and yellow pattern, it means that there is "special air" inside. This unique mix of air lasts longer and is, for lack of a better word, more powerful. Aquarius used to be owned by NOAA. When NOAA decided not to fund it anymore, a huge effort was put together to save the only research saturation station in the world. 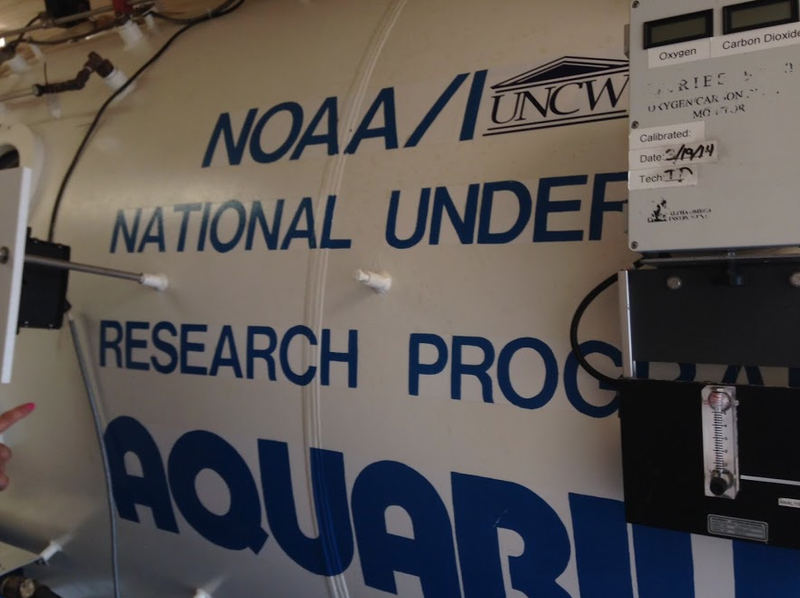 FIU now owns aquarius, but this Hyperbaric Chamber still has the NOAA sticker on it. Everything that Aquarius needs to function runs through an umbilical cord. 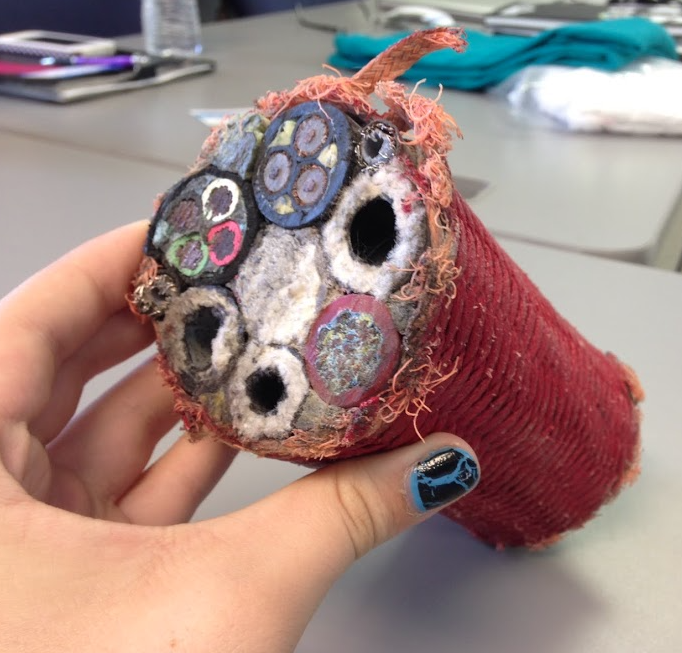 This is a picture of a section of the old cord; the new one is even thicker. Look at all the different tubes and wires running through it! Ginger is good for sea sickness! I drink ginger ale whenever my stomach hurts. Ginger, in pretty much any form, helps with stomach aches and motion sickness. 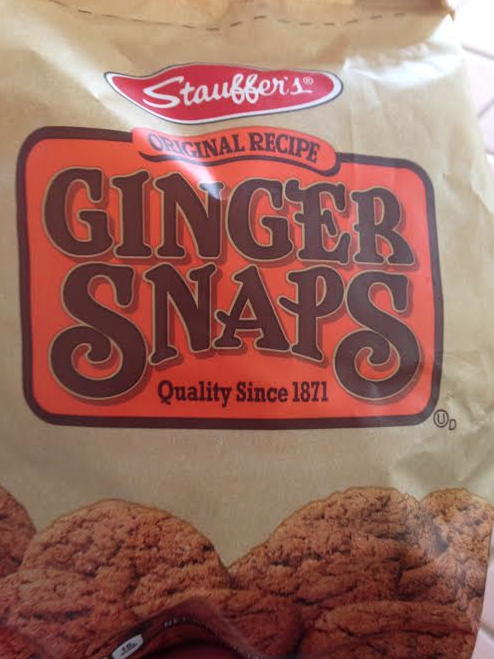 This is why we bought ginger snaps to carry on the boat!